The Second Vocational Education and Skills Development Project (VESD II), funded by the Asian Development Bank (ADB) and the Agency for Vocational Education and Training (AVET) started in 2013 and will be implemented until October 2018. The Project will support the modernization of the Technical and Vocational Education and Training (TVET) system by making it more responsive to labour market needs, develop skilled workers and craftsmen, technicians and middle-level staff, lobby for the introduction of reforms in the vocational education and training system. This project is funded by the Asian Development Bank (ADB). Kyrgyzstan's accession to the EAEU and the economic downturn in neighbouring countries seriously affected the economic performance of the country. 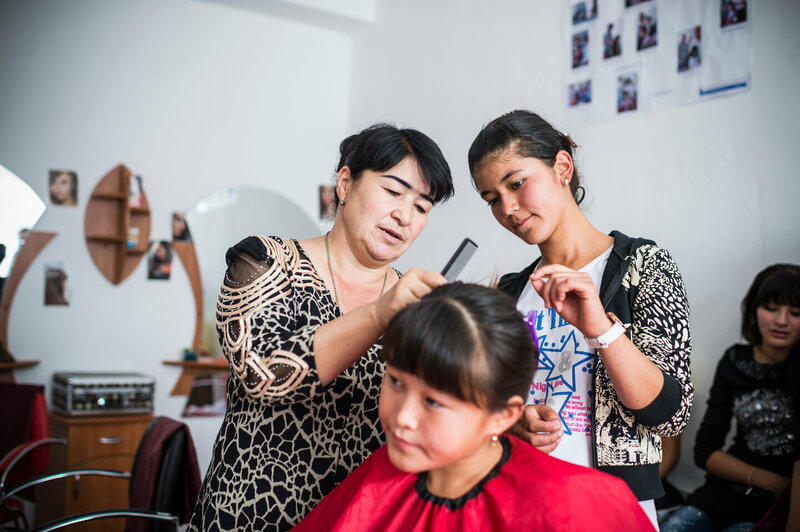 Given the current situation in the medium- term program of socio-economic development of the Kyrgyz Republic for 2016-2018 years, the Government paid special attention to vocational education: "Problems of innovative development and competitiveness of the domestic industry will be solved by providing it with qualified personnel through training in technical and vocational education system". However, many enterprises experience difficulties in finding skilled workers, underscoring the mismatch between the outputs of the education and training sector. The Second Vocational Education and Skills Development Project will support the modernization of the TVET system by making it more responsive to labour market needs. School advisory boards will be strengthened in both primary and secondary vocational schools to help institutionalize engagement with the private sector in policy formulation and help foster the entrepreneurial spirit of school management. The project will support further development and institutionalization of the school management system for primary vocational schools, and the publication of an annual TVET Statistical Bulletin and an annual tracer study of graduates. These publications will provide an analysis on the skills mismatches in the economy and on the disparities in employment opportunities between male–female and urban–rural graduates. A skills development fund will be set up to provide a demand-driven funding mechanism. Training needs will be identified, packaged, and awarded to training providers through open tender. The project will also support gender-sensitive social marketing campaigns intended to increase enrolment and improve the image of TVET. Lobby for the introduction of reforms in the vocational education and training system.